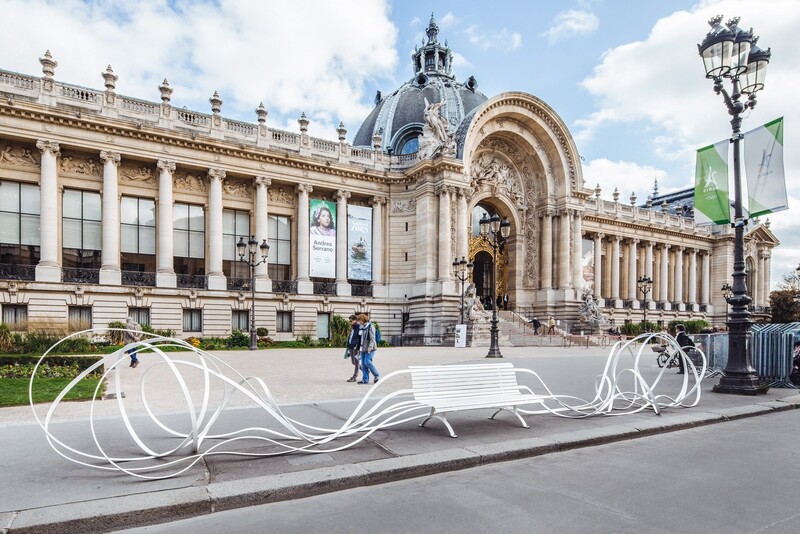 This year at On Site, Waddington Custot are exhibiting works by Pablo Reinoso, 'Simple Talk' and 'Double Talk', from his most recent series, focuses on metal seats and reflects the artist’s latest research on works of art in urban spaces. ‘Simple Talk’ and ‘Double Talk’ together form ‘Conversations’, an installation with which the public can interact directly. Pablo Reinoso does not set out to blur the boundaries between art and design; rather, by producing works on which the public can sit, he is laying the foundation for an artistic debate about the place of works of art in the public space.